4000 fruit trees for 120 marginal farmers in Lalitpur, Bundelkhand, Uttar Pradesh, India. In July 2016 SGI planted 2500 fruit trees in Bundelkhand. 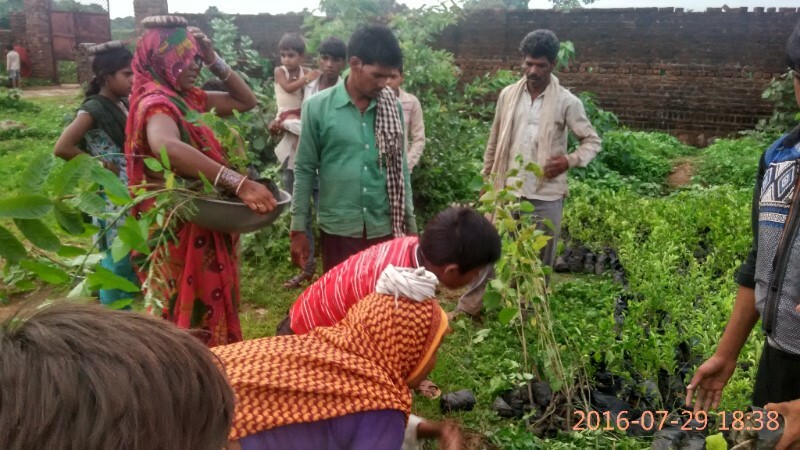 Thanks to the generous support of friends, we at Sustainable Green Initiative were able to plant 2500 fruit tree saplings around Lalitpur - some of the poorest and drought prone villages of Bundelkhand in Uttar Pradesh, India. 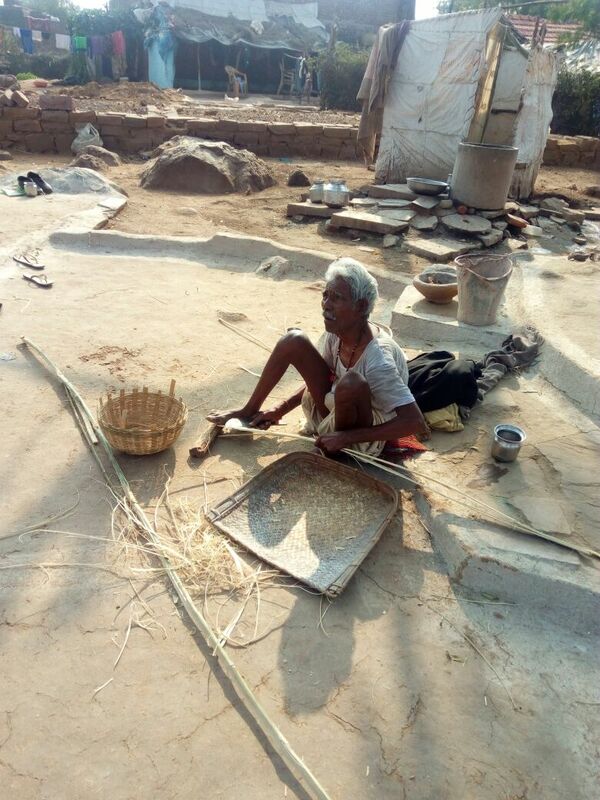 This was made possible with the active help of Ramit Basu , an engineer turned development expert and Basudev Singh, President, Bundelkhand Seva Sansthan an NGO working in this poverty stricken drought prone area for the last 25 years. Bundelkhand: where human beings like you and me had to resort to eating rotis made of wild grass. For all of us who had been reading reports of the 2015 drought across India, Bundelkhand stood out as the worst affected region. In early 2016 Ramit Basu and me decided to do whatever we could do about this situation. Ramit did a tour of the areas in March and with Basudevji, put together a plan to plant as many fruit and fodder trees in this area. 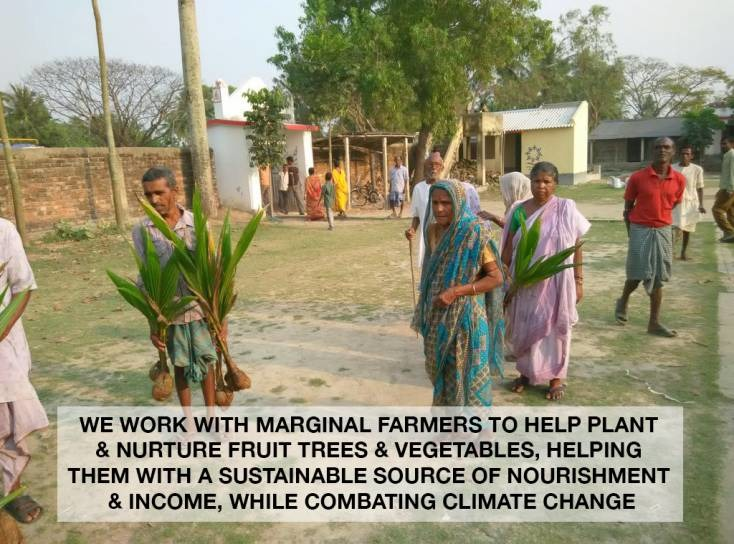 With the help of friends and family, we at SGI put together enough resources to initiate a 2500 fruit sapling planting in two villages Sorai and Banhori Kalan of Mandavra block in the district of Lalitpur, Uttar Pradesh. 200 families were chosen based on their income levels, land holding and willingness to plant and most importantly - nurture the saplings. This fruit tree planting was made possible from support of friends, our grateful thanks to Ramit Basu, Ranjit Krishnan, Kamaria Nanjibhai, Deepak Malhotra , Rajiv Prabhakar, Chitresh Mahindroo, Urmila Raturi, Manoj Veludasan, Ved Prakash, Madhumita Majumdar , Vs Srinivasan, Hema Sharda, Bundelkhand Sewa Sansthan Lalitpur, Rajiv Kalra, Murthy Nvs, Gurmeet Chawla, Pooja Joshi, Urmesh Suri, Arun Jain, Prithvi Raj, Sanjeev Verma, Pankaj Baveja, Amit Mahajan, Abhilasha Ojha, Shamik Bag, Ashish Aggarwal , Helen Cherry, Raujeev Taneja, Ihitashri Shandilya, Gyan S Rajhans, DP Singh, Nidhi Juyal, Shashank Thapliyal, Hanumant Singh, Gurubax Singh, Arunava Choudhury, Meenakshi Radhakrishnan & Rahul Shruti Joshi and Victor Das. 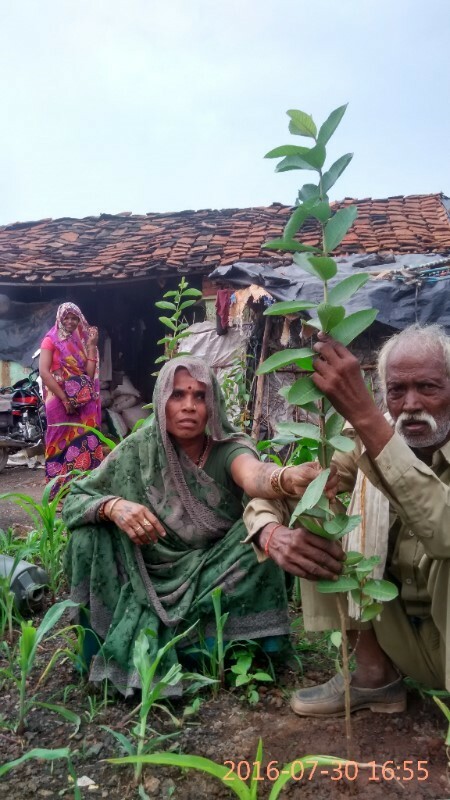 Despite the harshness of the passing winter we were pleasantly surprised to see all the plants growing well, the villagers and staff of Bundelkhand Seva Sansthan have ensured that these trees will bear fruit soon. This year we aim to plant and nurture 4,000 fruit trees for 120 marginal farmers, fruit trees which will provide food and income in Anaoura village, Lalitpur, Bundelkhand, UP, India.